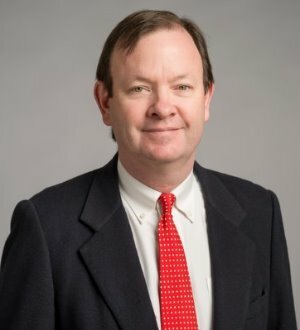 Hagood Tighe is a partner in the firm's Columbia office. He practices exclusively in the area of labor and employment law, representing management in traditional labor matters and employment litigation. Hagood is a member of the firm's class and collective action group. In recent years, Hagood has handled approximately 25-30 class and collective actions throughout the country. The vast majority of his class and collective experience is in the wage and hour area.While he maintains an active litigation practice, he also focuses on providing practical and proactive advice designed to minimize the risk of litigation. He also provides training for supervisors and managers on harassment, Equal Employment Opportunity (EEO) compliance, the Family and Medical Leave Act (FMLA), and many other areas. Additionally, Hagood has authored numerous articles in the area of employment law and regularly lectures at seminars regarding employment law. Hagood has extensive experience in the area of traditional labor working with employers throughout the United States. Hagood has successfully run many union avoidance campaigns, tried labor arbitrations, and litigated unfair labor practices before the National Labor Relations Board (NLRB). He has also worked with several large national employers to develop strategic plans to maintain positive employee relations – thus reducing the likelihood of successful union organizing. In 2013, Hagood received the Carolyn Holderman Vision Award by the Central Carolina Community Foundation for his leadership as Chairman. Hagood was a 2004 recipient of the Silver Compleat Lawyer Award from the University of South Carolina School of Law Alumni Association. This award recognizes alumni who have made significant contributions to the legal profession and who exemplify the highest standard of professional competence, ethics, and integrity. Hagood is "AV" Peer Review Rated by Martindale-Hubbell and has been included in South Carolina Super Lawyers. He has been listed in Chambers USA, America's Leading Business Lawyers since 2007 and in The Best Lawyers in America since 2008. He was recognized as a Labor Law-Management Lawyer of the Year by Best Lawyers in America for 2017. Hagood has been selected by his peers to be one of Greater Columbia Business Monthly's Legal Elite every year since 2010. The same publication named him one of the "50 Most Influential People for 2011." He is certified by the South Carolina Supreme Court as a Specialist in Employment and Labor Law. In 2013, The Richland County Bar Association recognized Hagood with its Civic Star Award.